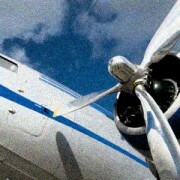 After years as a part of Cobalt Bridge Media (formerly Holland|Simpson), Audio Aviators® is flying solo. Yes, friends, the media skies are crowded and cluttered. That’s why it’s critical that your productions soar above the rest. Audio Aviators® has the right stuff to create, produce and distribute your radio spot, program, targeted webisode or specialized audio production. Our crew brings more than 40 years of acoustic craftsmanship to your project through writing, recording, voice over talent, production and distribution. Our rigorous training and many creative sorties ensure that we’re prepared and motivated to get your mission accomplished. Give us a shout and let’s discuss how we may serve you.